Food Blogga: Happy National Sandwich Day, 2011! Happy National Sandwich Day, 2011! Sloppy Joe from The Encyclopedia of Sandwiches by Susan Russo. (Yup, that's me.) Image courtesy of Matt Armendariz. Have you eaten a sandwich today? Odds are you have. Hundreds of millions of people across the globe do every single day. And today that number will rise. Why? Because, sandwich lovers, it’s National Sandwich Day. That’s right. An entire day designated to celebrating the humble sandwich, a simple combination of bread and filling that is satisfying, fast, comforting, and portable. Everyone loves sandwiches, but Americans are besotted. We love to make them, talk about them, and gaze upon them. Entire books (mine included), televisions shows, and websites have been devoted to them. Why are we so passionate? Because sandwiches typically have deep cultural, ethnic, and geographies roots. Think of the Vietnamese Bahn Mi, the Mexican Torta, and the American ham sandwich. Some sandwiches have become icons of the city from which they emanated. Can you imagine Philadelphia without its cheese steak or New Orleans without its Po ‘Boy? 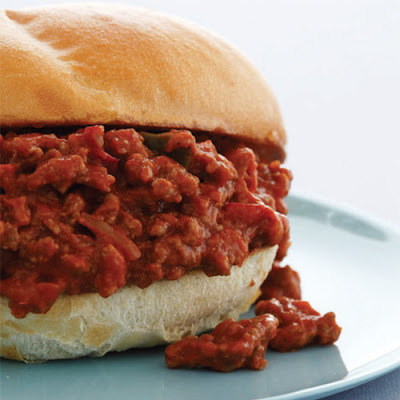 Click here to continue reading and to get the Sloppy Joe recipe! I love sandwiches, especially ones with ham or roast beef. Looks like I missed National Sandwich Day on the blog but I know I had a grilled cheese sandwich on that day!! !